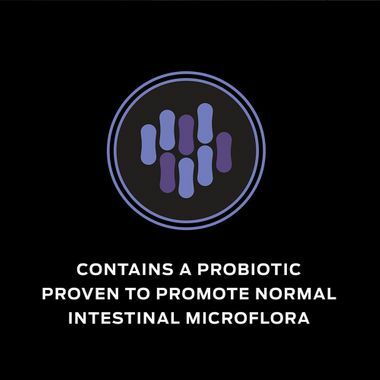 FortiFlora contains microencapsulated form of Enterococcus probiotic that is critical in managing dogs with diarrhea or unhealthy stools. 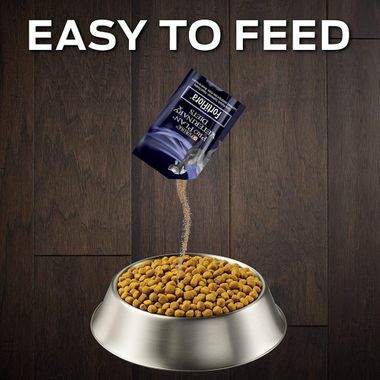 Simply mix with food. 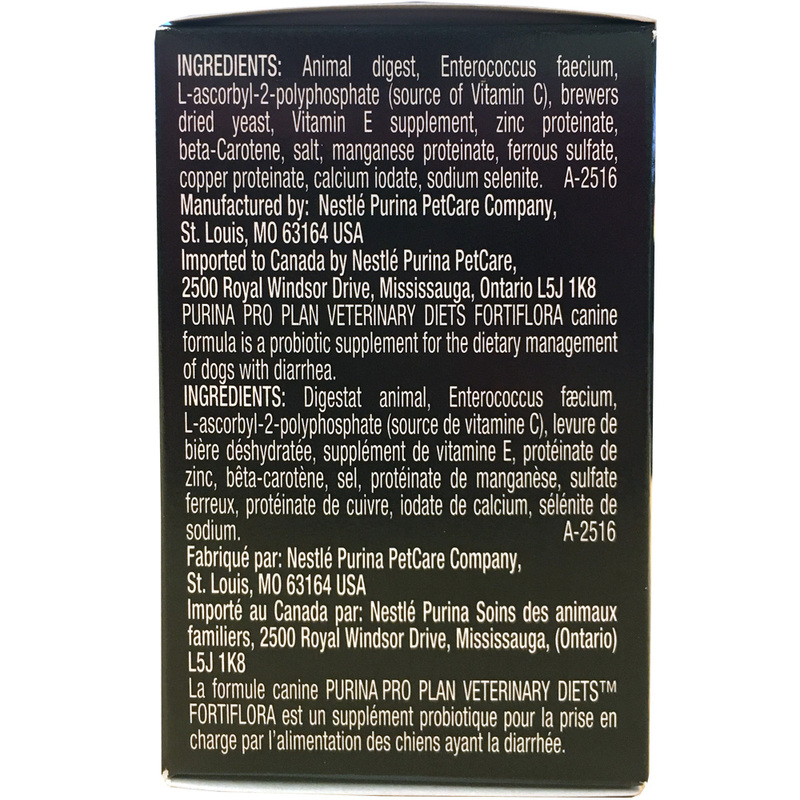 Purina FortiFlora for Dogs is a probiotic nutritional supplement for pets suffering from diarrhea and poor intestinal health. 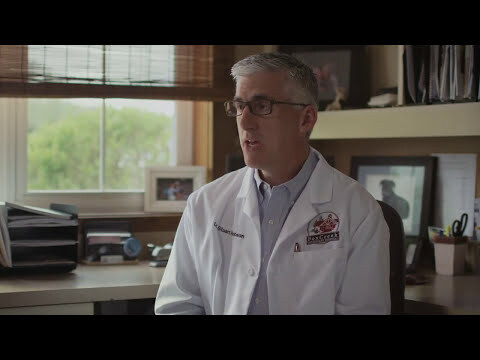 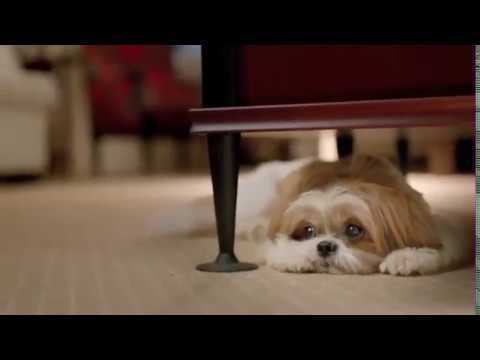 If your dog is suffering from diarrhea due to a change in home circumstances, boarding, eating the wrong types of food, a move, or the use of antibiotic therapies, or if your puppy has soft stools, why not ask your veterinarian how FortiFlora could assist. 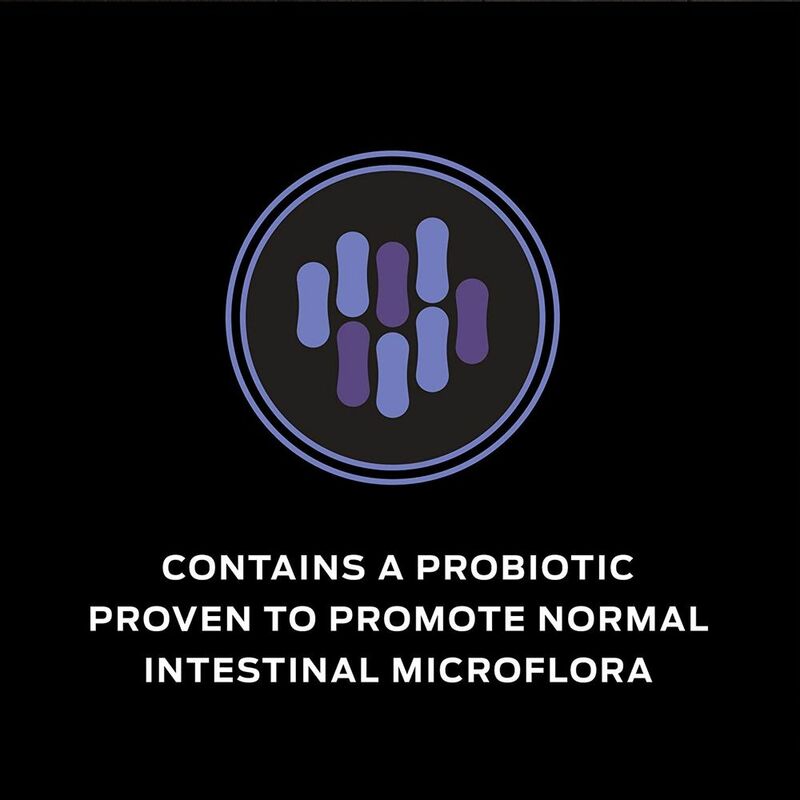 Each box of FortiFlora contains 30 one-gram sachets. 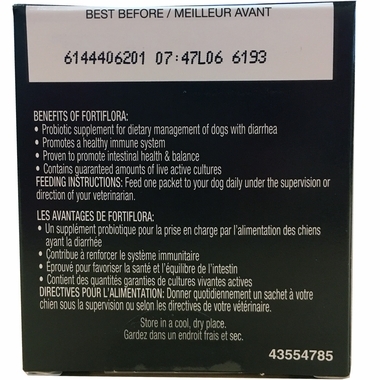 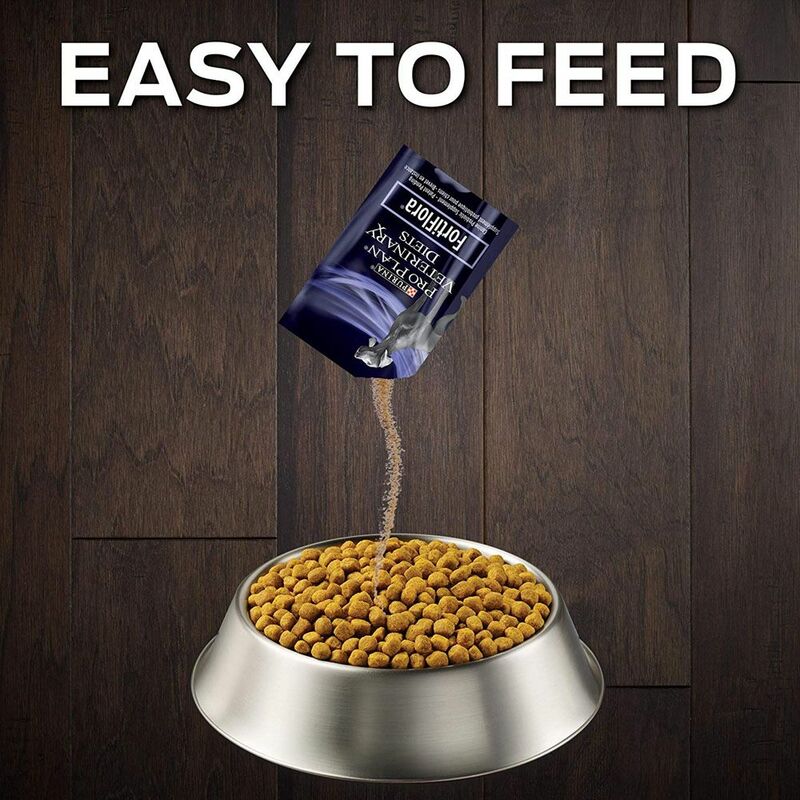 FortiFlora restores a natural and healthy balance to your dog's intestines with its unique microencapsulated live microorganisms. 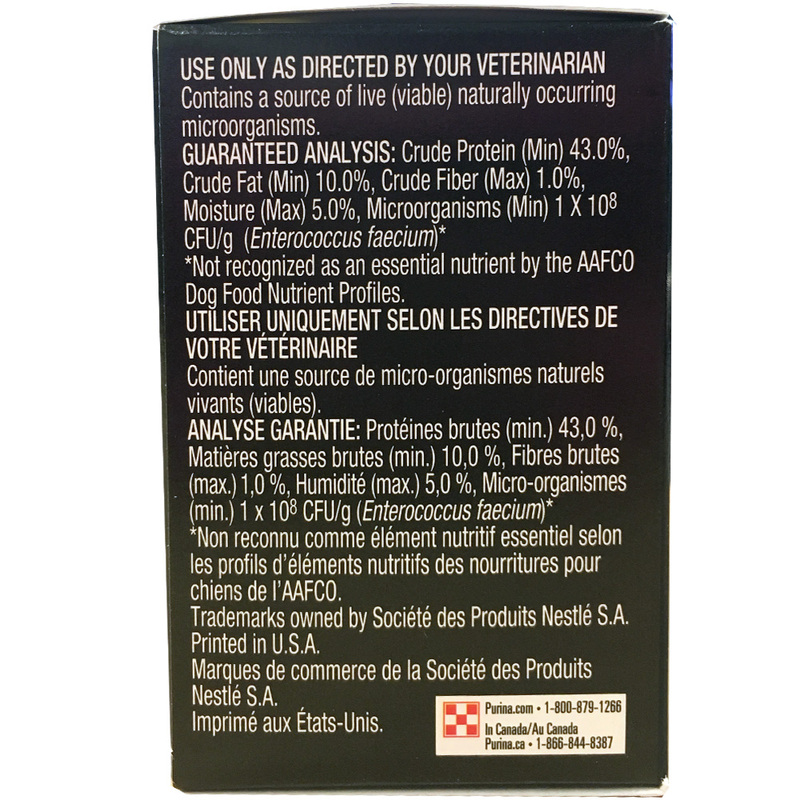 FortiFlora canine nutritional supplement also contains proteins, vitamins, and minerals, and it can be easily mixed with your dog's normal food. 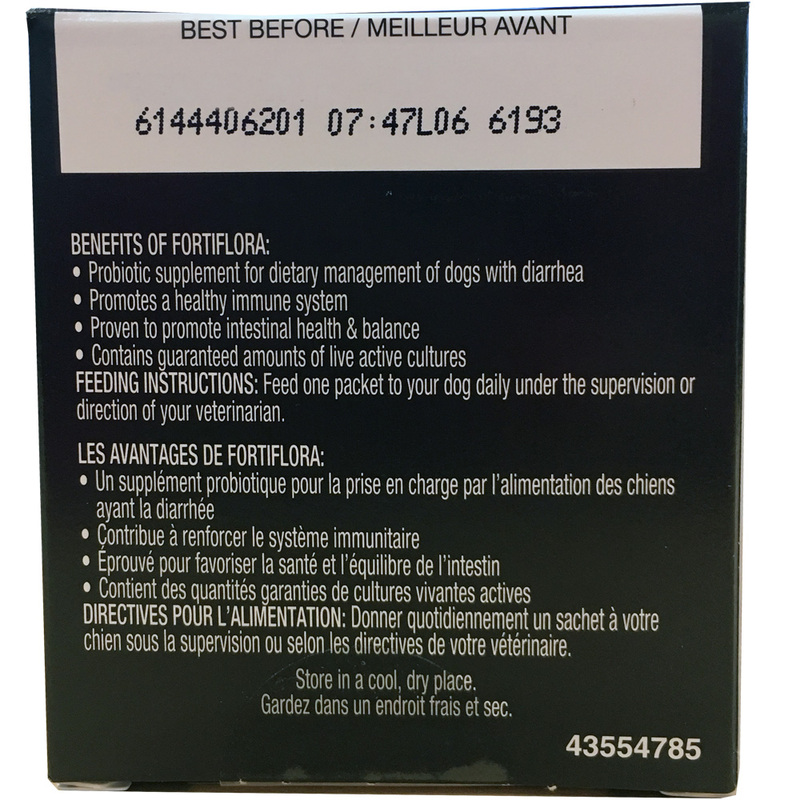 The active probiotic in FortiFlora is Enterococcus faecium, and each packet is guaranteed to deliver 108 CFU/g to your dog. 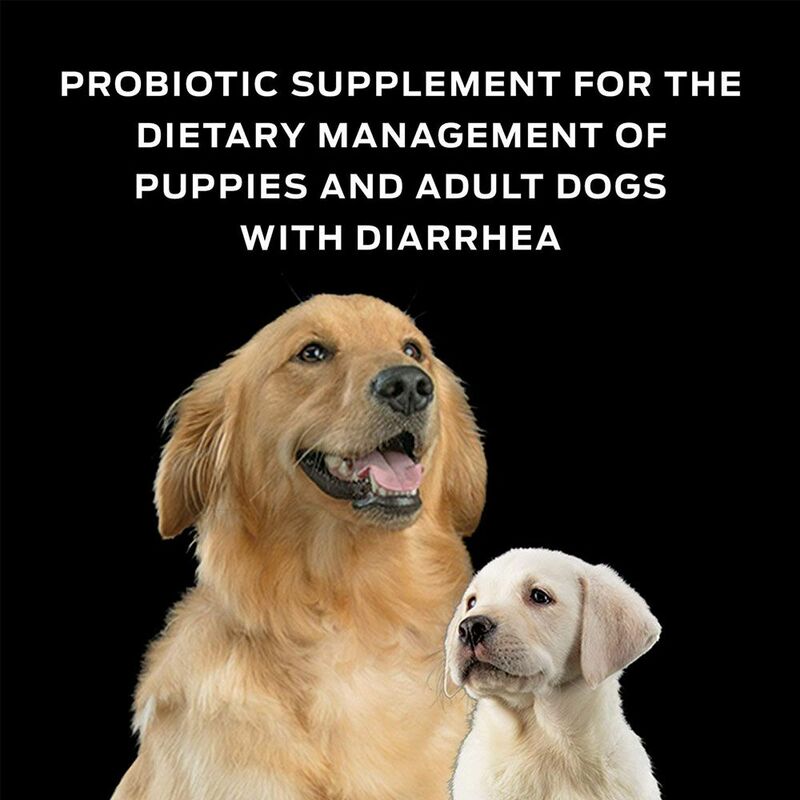 Other ingredients include vitamin E supplement, zinc proteinate, beta carotene, ferrous sulfate, copper proteinate, calcium iodate, and sodium selenite. 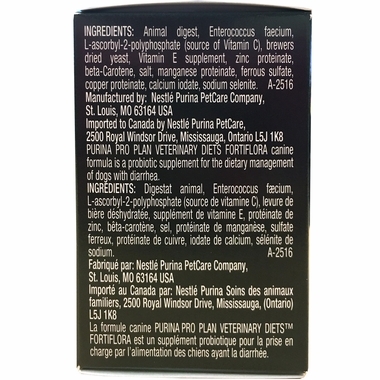 Many customers recommend FortiFlora for use as a regular nutritional supplement for dogs that are continually sick but otherwise healthy. 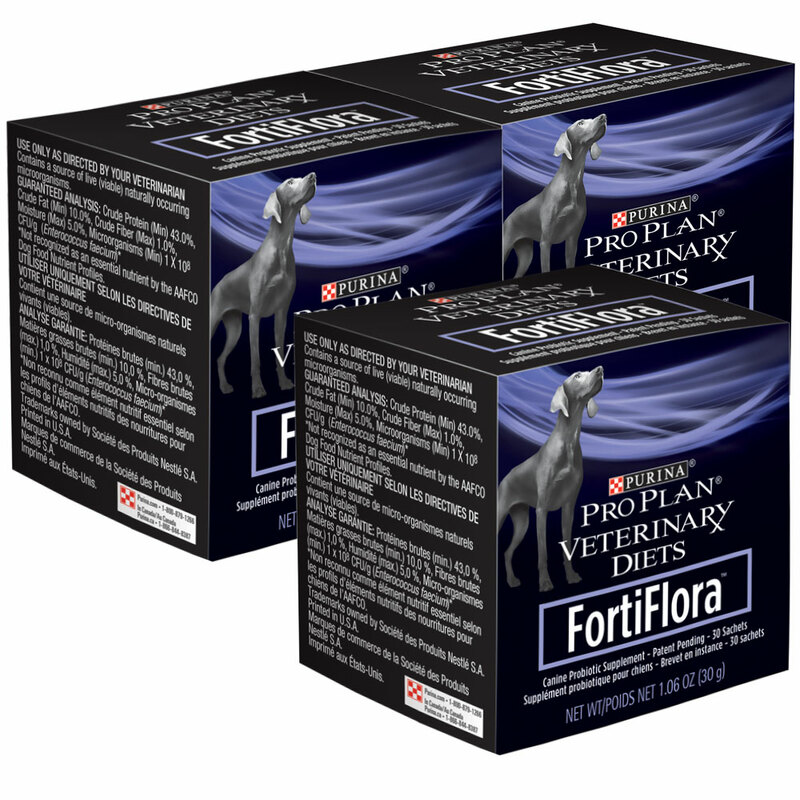 So if you are looking for a canine nutritional supplement that will ensure intestinal health for your dog, check out the benefits of FortiFlora. 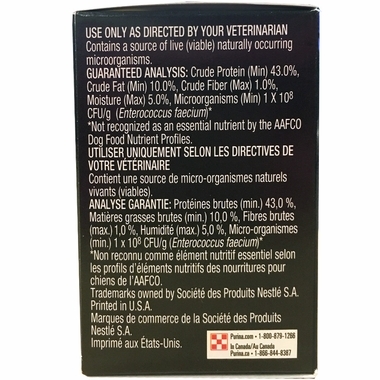 Animal digest, Enterococcus faecium, L-ascorbyl-2- polyphosphate (source of Vitamin C), brewers dried yeast, Vitamin E supplement, zinc proteinate, beta-Carotene, salt, manganese proteinate, ferrous sulfate, copper proteinate, calcium iodate, sodium selenite.